Our friends over at Hudson Furniture just "HIT" us with their newest product: THE ROCK! and boy does it hurt so good! 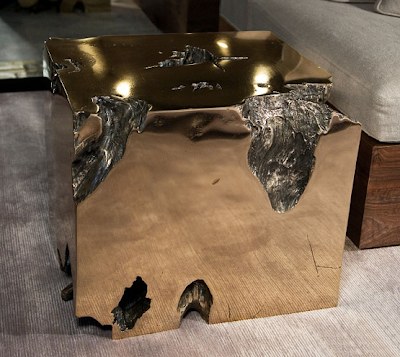 This stunning piece designed by Barlas Baylar is made of solid bronze and is intended to be used as an end table. However, we find it's opulent charm solid enough to stand alone as an impressive piece of art. Baylar's recently been taking the organic design movement to a glamorous new level and we couldn't be more "amazed and infused"....Pull out the Metallica-We're ready to ROCK!